Wish inserting emojis was as easy on a computer as it is on a phone, or that you could search for emoji? 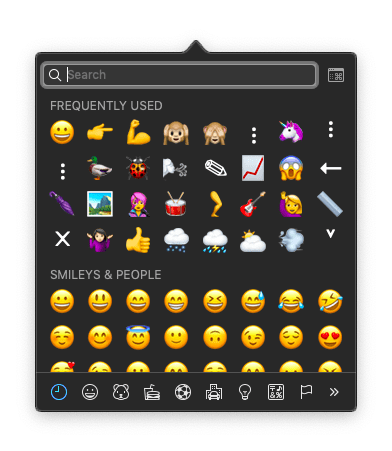 Find out here how to get emojis on MacBook and other macOS devices easily, and how to search for them by name. 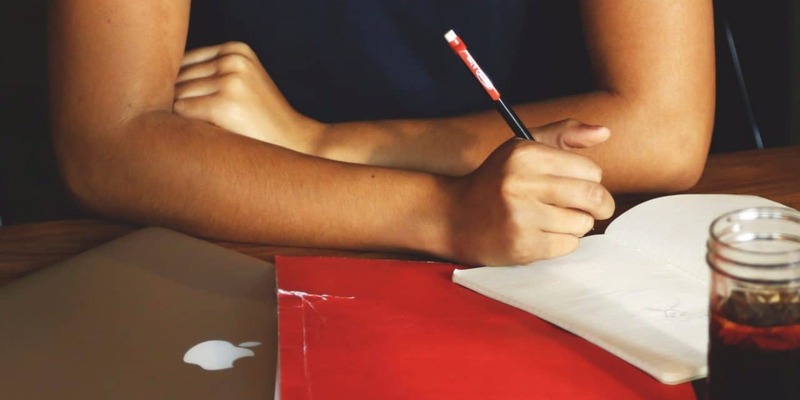 Light is wonderful from the left when the right hand writes. The sun, alas, is not always on the left, and when it is—it soon moves. For some twenty years, famed writer George Bernard Shaw moved with it. He moved not his chair or desk, and not his spot for writing. He moved his rotatable writer’s shed instead. Position the text cursor where you want to insert the emoji. Select Edit | Emoji & Symbols from the menu. Mac keyboard shortcut: You can also press Command Control Space to get the viewer for emoji and other special characters. Note: Depending on the macOS version, the menu item may read Edit | Special Characters…. Use the categories at the bottom to browse emoji (Smileys & People, Animals & Nature, Food & Drink etc.). Note: If you see no categories at the bottom, click the character viewer button ( ) near the Character Viewer window’s top right corner. 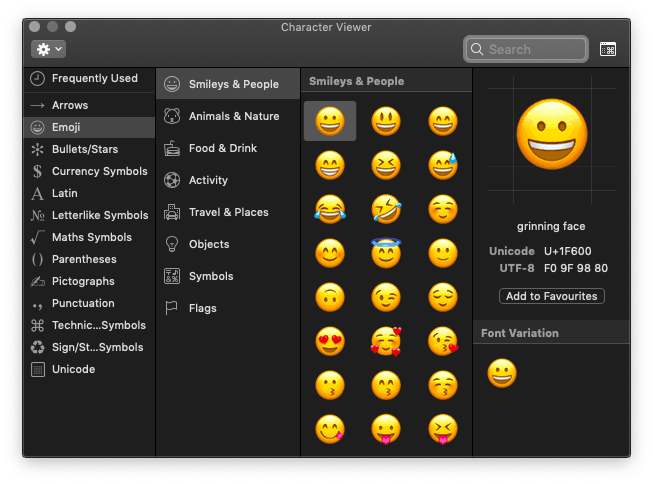 Tip: You can also use the full Character Viewer, of course, to get emojis on MacBook and macOS; see below. Use Search (at the very top of the emojis list) to find emoji by name. Click an emoji to insert it at the text cursor’s current position. Note: For emoji that have multiple (typically color) variants, click the emoji followed by the desired variation. Tip: You can also drag and drop emoji to get them into text.Click the desired emoji to insert it into the text. Press Command Control Space or select Edit | Emoji & Symbols to get the emoji panel or Character Viewer. If you do not see the full Character Viewer window, click the character viewer button ( ) to expand the emoji panel. Go to the Emoji category on the very left. Note: If you do not see Emoji as a category, click the settings gear button ( ) and select Customize List… from the menu and make sure Emoji is checked, then click Done. Tip: Drag and drop categories to re-order them in the list. Select an emoji category or browse the list. Double-click an emoji to insert it at the text cursor’s current position. Note: For emoji that are available in different colors, click the desired emoji followed by the desired color variant. Can I see larger versions of emoji in the Character Viewer list? Click the settings gear button ( ) in Character Viewer. Select Medium or Large in the list under Character Size. Note: This size applies to emoji and character in the full Character Viewer window, not the emoji panel. Can I keep the emoji panel open to get emoji into my text even faster? To pin the emoji panel to the screen, click character viewer button ( ) twice, once in the unpinned panel, then in the Character Viewer window.